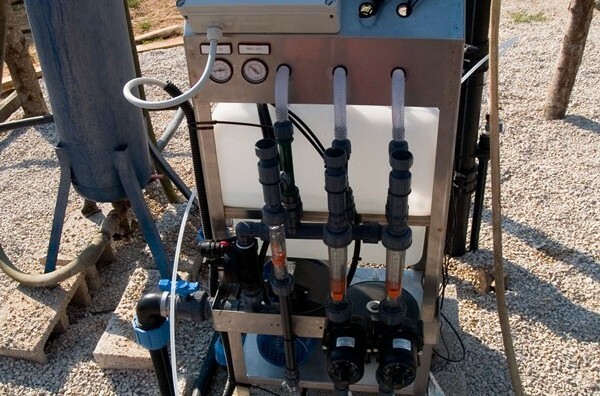 Irritec fertigation units combine practicality and reliability in a modern injection system for nutrient solutions. The fertiliser dosage is regulated by simple fertigation templates which can be set according to the agronomic and nutritional requirements of your crop. 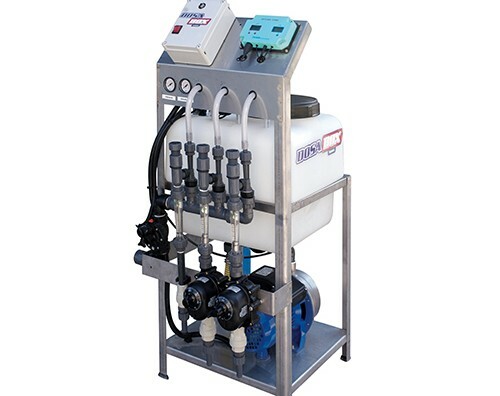 Correct water management, essential for conveying adequate nutrition to the plants, is guaranteed by Irritec’s long experience in manufacturing machinery and equipment, and by the use of reliable, certified materials. Moreover, the ergonomic design of our machines allows the operator to set the irrigation and fertigation cycles and to carry out ordinary and extraordinary maintenance easily and safely. All our machines are EC certified. DosaBox is a modular unit which allows volumetric dosing of 2 to 4 fertilisers; the speed of aspiration of each substance can be regulated. Flowmeters and pH and EC monitors give constant feedback on the properties of the irrigation water used, and can be modified by manual adjustment of injection for the individual aspiration channels. DosaBox pre-mixes the fertilisers to obtain a homogeneous nutrient solution, and does not cause pressure loss on the main line. To see the full range of this product and its technical specifications, download the catalogue or the manual.